﻿ From business management books to the rock group Meat Loaf, a select few have enjoyed the notion 'if it ain't broke - break it' ...but now, in more enlightened circles, this wry observation has been elevated to critical status - seen as a winning strategy in a modern world. At the risk of being burnt at the stake for heresy, everyone's getting ever-so tired of hearing about Apple's successes or dare I say, Amazon's triumphs (though I really do hugely admire both these companies and will continue to talk about them). 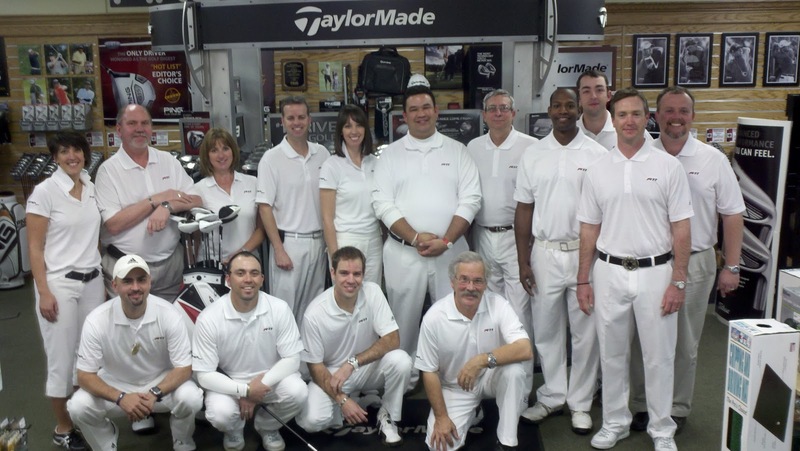 But a company I've grown to truly love is the golf equipment manufacturer, TaylorMade. I love them not only because they innovate, but because they love to do things differently and they've got balls! I read recently that 70 per cent of businesses don't have a Innovation Director and presumably this figure allows for the fact that many large corporations have a well defined need and a well developed 'research and development' capability such as pharmaceuticals and electronics - planning for post-patent periods. So for retailers, and the like, I bet the figure is nearer 99 per cent not having an ethos of innovation. Innovation (ideas) leading to differentiation were the key components of all the successful businesses I interviewed for my book 'The art of being chosen'. Moreover, in these companies there was a real sense of not hiding behind a profitable status quo - a real need to always be moving forward. Changing things before they needed to be changed as the incomparable Jack Walsh, famously said. But as I travel the world lecturing, I'm astonished just how businesses that were founded on 'being different' and 'innovative thinking' seem to have lost their entrepreneurial spirit along the way. Settling instead for being better than their 'identified' competition - loosing the urge to be different for the sake of being different - certainly loosing their ambition to fix things before they break, so to speak. By contrast, take TaylorMade. And by way of example, their new features-packed, golf driver launched last year. Not only did it have wonderfully new 'adjustablity technology' but TaylorMade decided to spray the head white, not the usual black/dark colour. Why? Well they talked about how white impacts the eye and how that allows for better alignment etc and this may be true. But I suspect it was more a brave marketing move (people didn't like white coloured heads because of mud splats or scratches etc). Undeniably white grabs your attention when addressing the ball but it also sent out a massive signal about this new and innovative club from TaylorMade - even from 500 yards away! It screamed difference and was uniquely recognisable! Up and until then, no one standing on a golf course was ever able to identify innovative technology so effortlessly, no one was ever reminded so effortlessly that there was a new 'kid on the block' when it came to driver technology. TaylorMade have become a hugely successful company by constantly 'breaking things' even when they're selling well ...they seem to revel in constantly sending massive signals to their market by doing what they do, very differently. They're very brave, very bold. Oh you might say: we can't afford to spend massive sums on research and development in order to be different! But there's always something a business can be innovative about, always something any business can do differently. Keeping on the golf theme, take the humble golf ball. Forget dimple development, forget new colours, forget compression layers - just change the convention of numbering. For decades every golf ball has had an identification number: 1,2,3 etc.....now there's a new golf ball on the market identified: 77, 55, 66, etc... who's got the balls - TaylorMade! The true lesson from the TaylorMade masterclass is that when a business has an ethos of innovation, is confident enough to do things differently, it soon realises there are no sacred cows - just 'brand' understanding - and it soon starts to stand out from the crowd. The whole process becomes holistic, company-wide and most importantly: FUN. Ideas, innovative and 'informed' thinking start flowing upwards through the business and then you're well on the way to what I call an Osmosis culture (for me Burberry is one of the best examples of this at the moment) - but all that's for another day - I have to dash to feed my unstable relationship with the dimpled sphere! It's no wonder Haggan Oakes were inspired to change the way they dressed on the TaylorMade R11 launch day - and I bet they weren't asked to do it - it's kinda sooooo obvious and sooooo on brand. You've just got to love it when things are done differently - because your customers do!